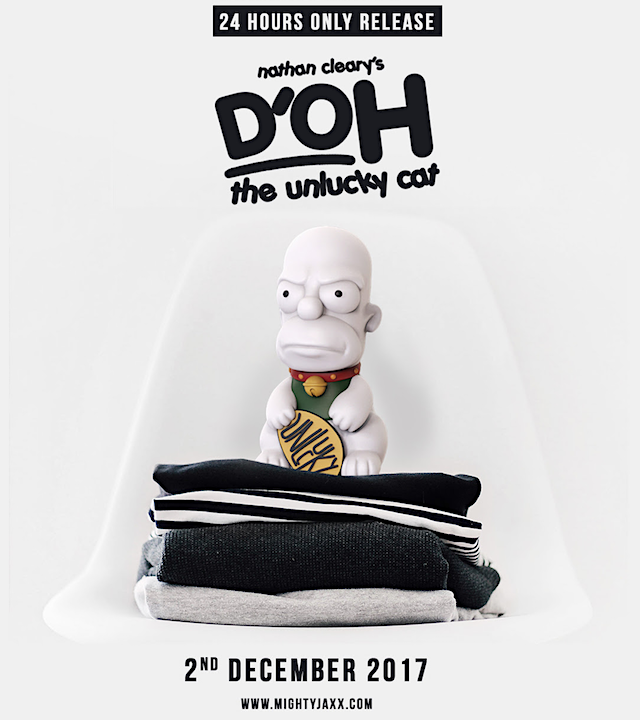 UK-based Nathan Cleary is on a pop-culture appropriation roll here, continuing his sampling of The Simpsons with a upcoming release also with Mighty Jaxx (who released his INTERKRUSTINENTAL BALLISTIC MISSILE) featuring “D’OH The Unlucky Cat”! 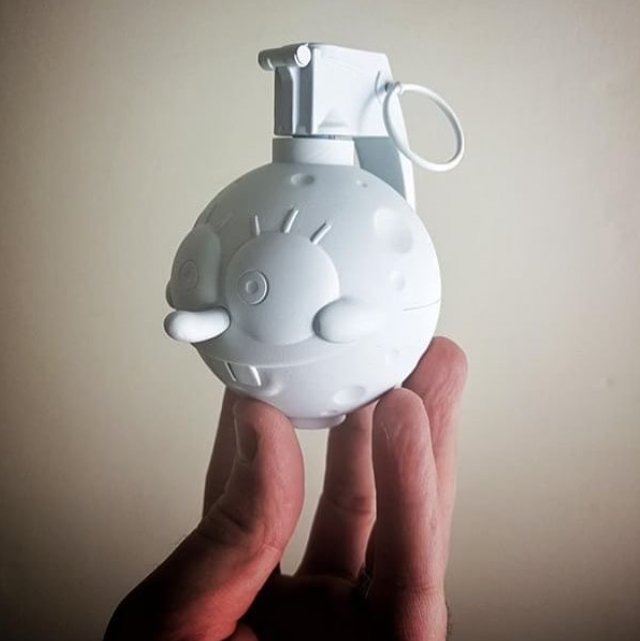 And continuing with his “WEAPONS OF MASS CONFUSION”-theme, Nathan as well have since released (and SOLD OUT) 2 editions of his “SPONGRENADE™”! 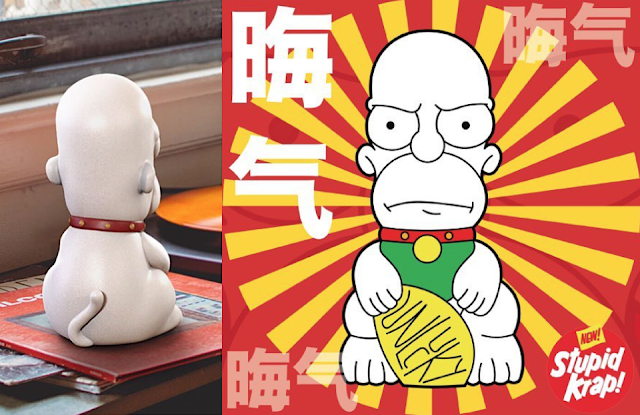 Both the Pearl White and Chrome Editions featured high impact solid resin hand cast in the UK by Evan Morgan, with Chrome in a run of only 25pcs priced at £75.00 … but fret not, as Nathan has since teamed up with our own Pobber Toys to bring an exclusive larger edition to life!